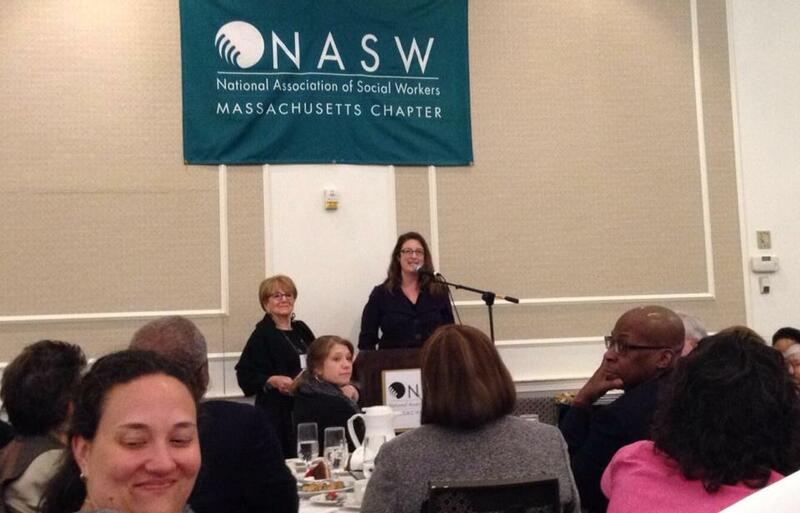 I was honored with an award from the MA Chapter of the National Association of Social Workers (MA-NASW) on April 4th, 2014. 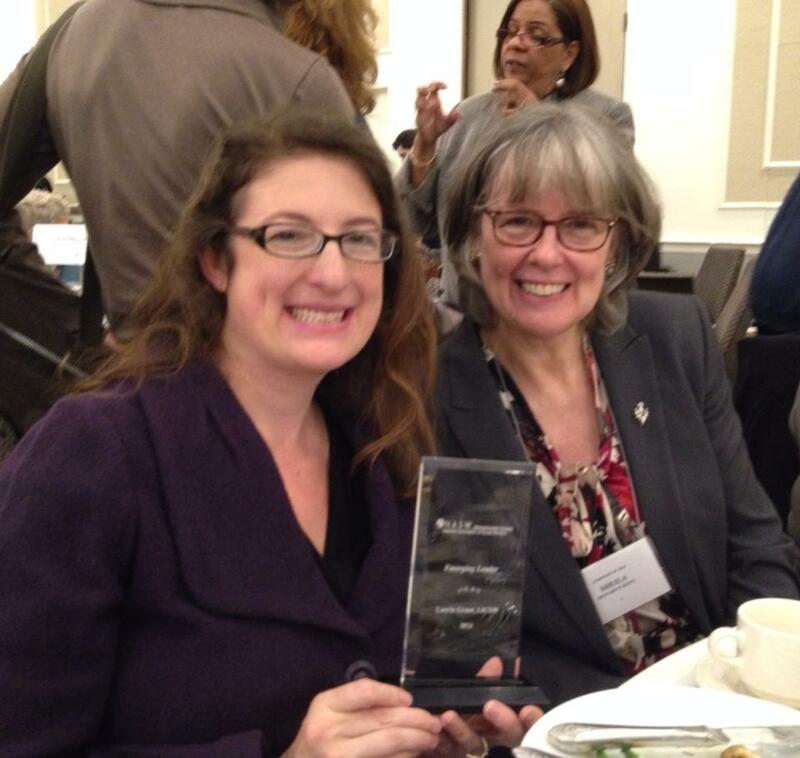 The Emerging Leader award. You often hear people talk about their fifteen minutes of fame…well I was given two! Two minutes to make a speech…. for me that’s not very long. I tried to thank everyone, but for anyone I forgot… thank you! A big thank you to everyone who has supported my learning, growing, and self-esteem along the way. This entry was posted in Awards, Awards and Education. Bookmark the permalink.